Dynasty Impact: After trading up, the Bills got their man in the best wide receiver in the draft with Sammy Watkins. Not only showing a commitment to help E.J. 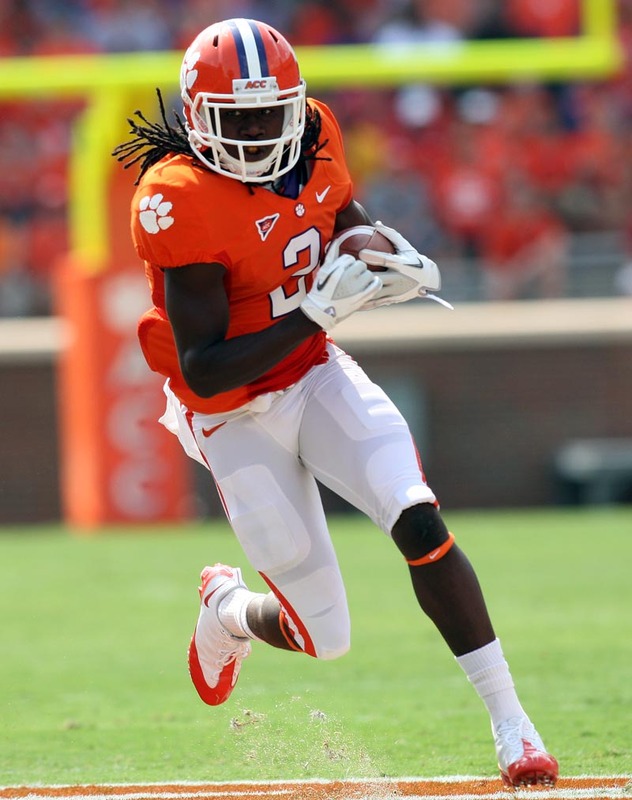 Manual, Sammy Watkins is the best receiving prospect since Julio Jones, and provides the Bills with another playmaker alongside C.J. Spiller. He’ll start right away and, provided Manual can keep progressing, should be grabbed early in rookie dynasty drafts. Manual’s stock should also soar heading into 2014 dynasty leagues. Worst case scenario is the Bills dump Manual after not cutting it and getting another one for Watkins to catch passes from. Either way, Watkins will be a valuable commodity in 2014 dynasty drafts. This entry was posted in NFL Draft and tagged 2014 nfl draft, buffalo bills, dynasty fantasy football, e.j. manual, Julio Jones, sammy watkins. Bookmark the permalink.